We’re sure you’ve seen lots of pretty green + floral design posts popping up in your instagram feed lately, because the time is drawing close for the Choose Joy Conference!! This conference is such an amazing experience + connection point for many women [and their hubbies!] 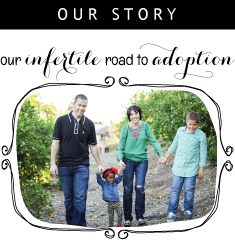 who are traveling the hard road of infertility or journeying through the adoption process. The majority of our conference attendees are currently in the process of financing infertility treatments or adoptions & are saving every penny possible to put towards this. We do everything we can to keep ticket prices low in an effort to still allow these growing families to attend Choose Joy, and in turn do lots of really awesome fundraising to cover the costs of the event as well as give away a HUGE pot of cash to one conference attendee to aid in their journey towards becoming a parent! And here’s where we’d love to partner with you, lovely! We are putting together a giant shopping spree to raffle off. To be clear, we are asking for two things: a store credit for the winner of the raffle, and a coupon code that can be given to everyone that purchases a raffle ticket. Most shops are doing 10-25% off, but please feel free to offer whatever coupon or promotion works best for your shop! *You don't have to have a product ready to go right now. *The winner may not ever cash in the store credit, which would mean you helped without having to give anything away. *The winner might order even more from your shop than the value of the store credit! *Your business will be promoted to every person that buys the coupon bundle, and you will get lots of orders that you might not otherwise! Please set up the coupon code WECHOOSEJOY2017 within your own shop. We are trying to make the code the same for all participating shops for this coupon bundle gift to make it easy on shoppers when they visit each shop! If for some reason you are unable to set up this exact code, we understand & you can set up something different. The code should be activated NOW and expire no sooner than December 31, 2017. 2. Fill out the following google form link. This will capture all of your info for us -- easy peasy! 3. Email us back if you have any questions, friend!! Thank you so much for reading this email and considering helping the Choose Joy families! !